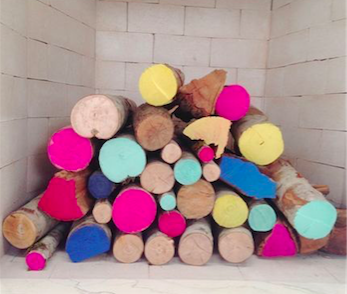 Add a pop of color: Brighten up your space and add summer vibes by replacing your standard logs with colorful ones. Bring the beach to you: Grab those seashells that you’ve collected from the summer’s beach trips and create a mantle display. Small shells and sea glass can be stored in mason jars to create a more manicured look. Channel your green thumb: Make your home feel more elegant by adding plants to your mantle. Add variety by throwing in draping plants such as a Pothos or a Boston Fern. Create a miniature art display: Not sure where to store your latest flea-market finds? Your fireplace just became the answer. Use it for storage: Get your candles, books, blankets, and other items off the floor and shelves by using your fireplace as additional storage space. Cover up: Don’t want to deal with it? Block off the fireplace with a divider or screen that fits in with the rest of the room. Mix and match a few of these ideas to create a look that works for your home’s aesthetic. Happy decorating!